Argan oil can be obtained from the kernel of the argan tree fruit which is grows in the southwest of the Moroccan only. Argan tree is a unique and rare plant. Due to the lack of the Argan tree, Argan oil production can be made only with small amounts. Therefore this region of Argan trees has been protected by UNESCO..
Argan oil, also called as Morocco’s liquid gold, which is obtained in natural ways is sent to a large number of different industries. Therewith the production process is long and laborious. 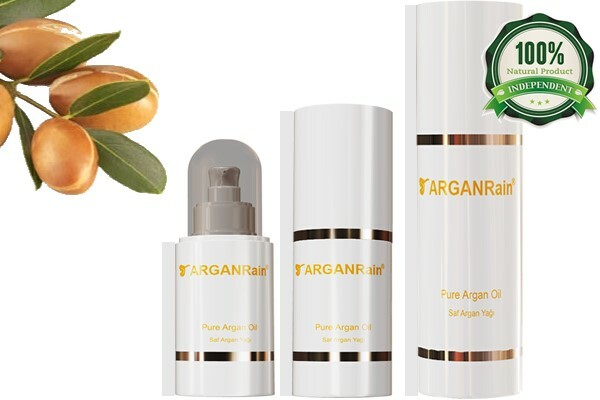 Argan oil for use in the field of pharmacology, personal care and cosmetics is produced by cold press method. So the fruit within the kernel is excluded without heating process. It is made by using various press machines with stones to break the kernel and obtain the oil by manufacturer and the companies. Until this phase the argan tree kernels do not have any chemical or biological process. Then extracted fruit is grinded with its own water by hand. Therefore the grinding process is done manually, it takes a long time. Then the Argan oil on the surface of the water is taken and bottled. In total, argan oil production process takes 2 days and the obtained oil is about 1 liter. Nowadays, mixed oils or mixtures of other oils and Argan oil is also sold under the name Argan oil. One of the ways of having original Argan Oil is to you pay attention to the price of the oil. The process says that producing Argan Oil is not easy and cheap. Therefore you can know the real organic argan oil with its price.